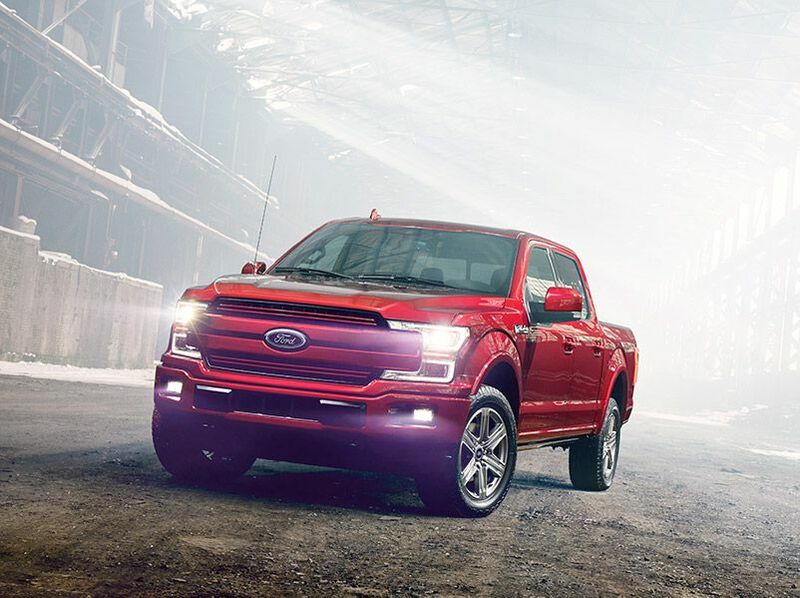 The 2019 Ford F-150 provides a wide array of powertrain solutions to meet the requirements of a diverse group of owners. The turbocharged 3.5-liter EcoBoost V6 and naturally aspirated 5.0-liter Coyote V8 are the most popular choices for owners who need higher levels of horsepower and torque. While purists may still argue that “there’s no replacement for displacement,” Ford’s EcoBoost range of engines deliver a level of performance that challenges the skeptics. Let's take a look at why you might choose one engine over the other. EcoBoost is Ford’s turbocharged direct-injected engine technology. The combination of forced induction with direct fuel injection delivers higher levels of fuel efficiency and power than naturally aspirated engines. Ford introduced the 3.5-liter EcoBoost V6 in the F-150 for the 2010 model year. The second-generation 3.5-liter EcoBoost V6 rolled out with the 2017 F-150. The revised engine supplements the direct fuel injection with port fuel injection. 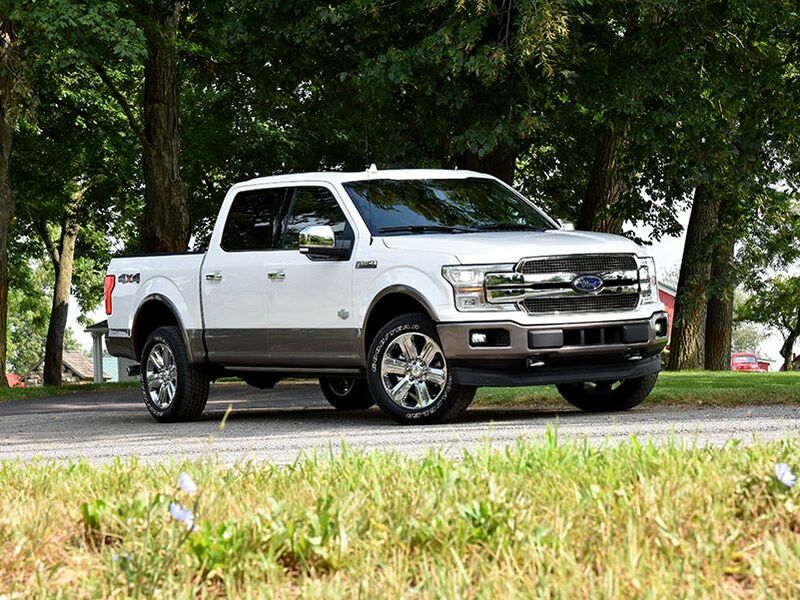 All of the F-150 EcoBoost 3.5-liter engines use twin Borg-Warner turbochargers and are quickly and inexpensively tuned to produce more horsepower and torque. While EcoBoost engines are engineered to use regular unleaded fuel from the factory, they respond extremely well to higher octane levels. Aftermarket tuners from Cobb and SCT unlock the magic. 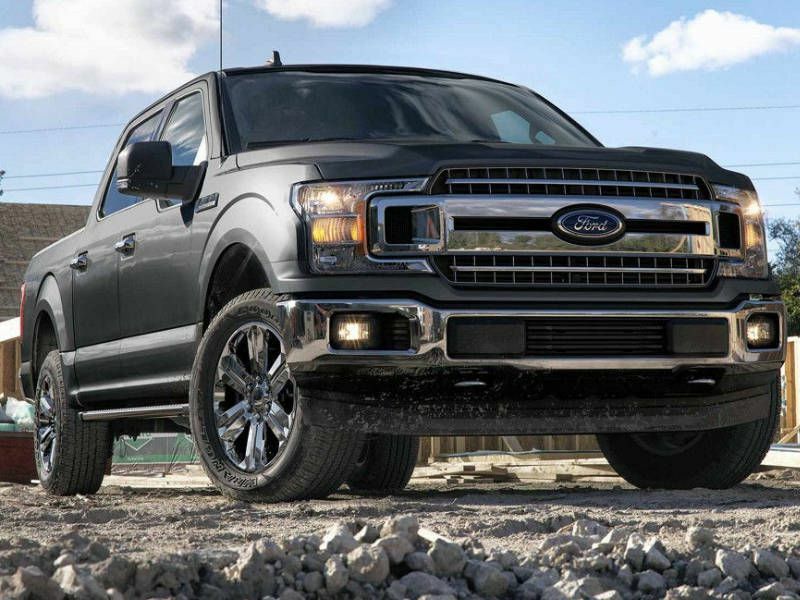 The 2019 Ford F-150 offers half a dozen different engine choices. The 3.5-liter EcoBoost V6 and naturally aspirated 5.0-liter V8 go toe-to-toe at the top of the range. The 3.5-liter EcoBoost V6 cranks out 375 horsepower and 470 pound-feet of torque, while the High Output 3.5-liter EcoBoost V6 (used in the F-150 Raptor model) pumps out 450 hp and 510 lb-ft of torque. The traditional 5.0-liter Ti-VCT V8 (which Ford calls the Coyote) churns out 395 hp and 400 pound-feet of torque. The EcoBoost 3.5-liter stomps the 5.0-liter with higher levels of torque. 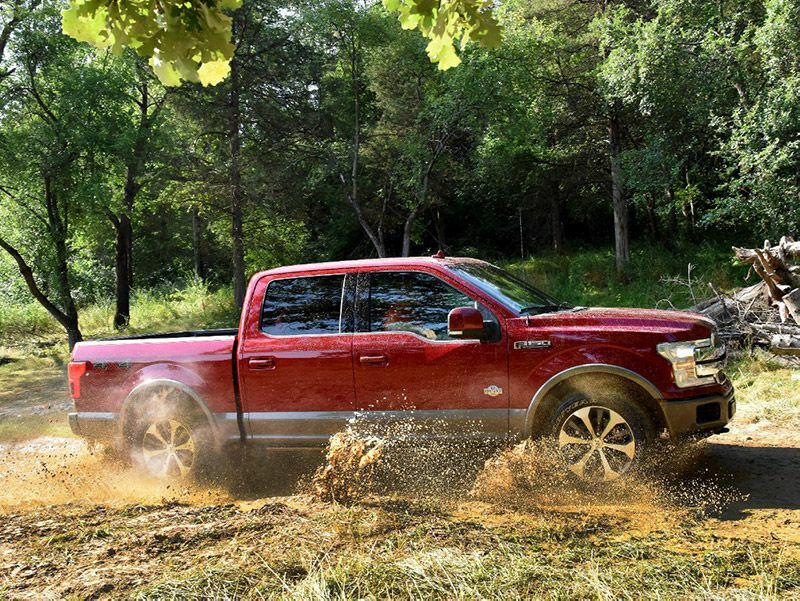 All of the F-150's powertrains employ a 10-speed automatic, except for a naturally aspirated 3.3-liter V6. 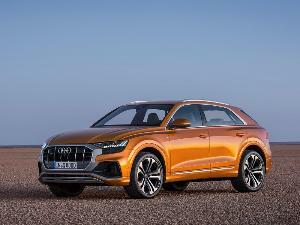 As a point of comparison, the entry-level 3.3-liter Ti-VCT V6 produces 290 horsepower and 265 pound-feet of torque, while the 2.7-liter EcoBoost V6 delivers 325 hp and 400 pound-feet of torque. 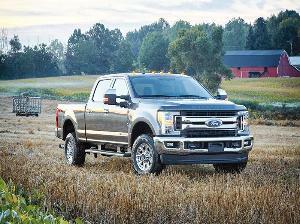 The 3.0-liter Power Stroke Diesel V6 provides 250 hp and 440 lb-ft of torque. While the 3.5-liter EcoBoost V6 F-150 is more fuel efficient than the 5.0 V8, the trick is to stay out of the boost whenever practical. “You can have Eco, or you can have Boost,” as the saying goes. The 2WD 3.5-liter EcoBoost V6 F-150 has EPA estimates of 18 mpg in the city, 25 mpg on the highway, and 21 mpg combined, while the 4WD version drops to 17 city/23 highway/20 combined. The 2WD 5.0-liter V8 is rated at 17 city/23 highway/19 combined, while the 4WD version is 1 mpg behind. Although General Motors and Ram Trucks V8 engines use cylinder-deactivation technology to conserve fuel, Ford does not. 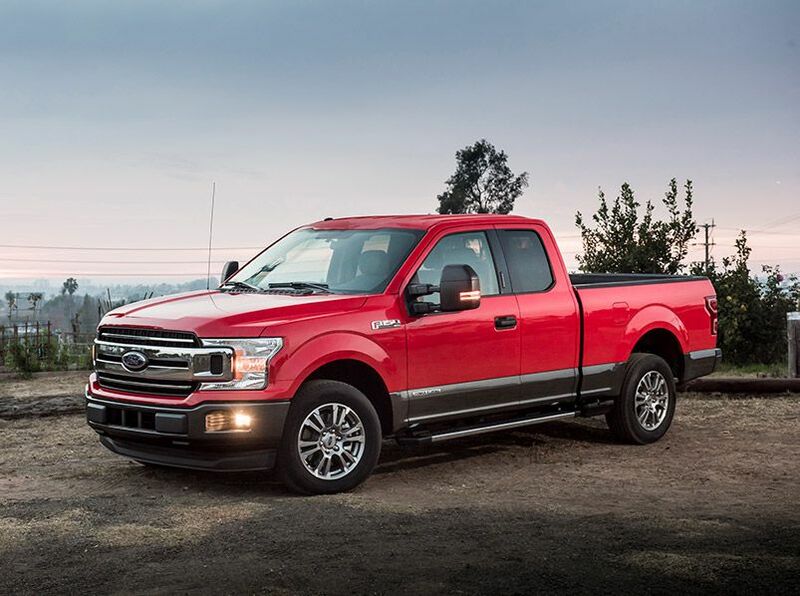 The Power Stroke diesel is the most fuel-efficient 2019 F-150, with EPA ratings of 22 mpg city, 30 mpg highway, and 25 mpg combined with 2WD, and 21 city/28 highway/24 combined with 4WD. What is PFDI and why does it matter? The first generation EcoBoost engines can have issues with carbon build-up on the valves, as a result of the engine architecture. This build-up is due to the way that gasoline enters the combustion chamber. With conventional fuel injection, fuel is sprayed into the cylinder above the valves, providing a “washing” effect which cleans the valves. With direct injection, gasoline sprays into the cylinder below the valves. Ford’s Port-Fuel and Direct-Injection (PFDI) system delivers the best of both worlds, helping to prevent carbon build-up by spraying gasoline on the valves with the port injectors. The port fuel injection system is also used exclusively at lower RPMs to improve efficiency and reduce emissions. 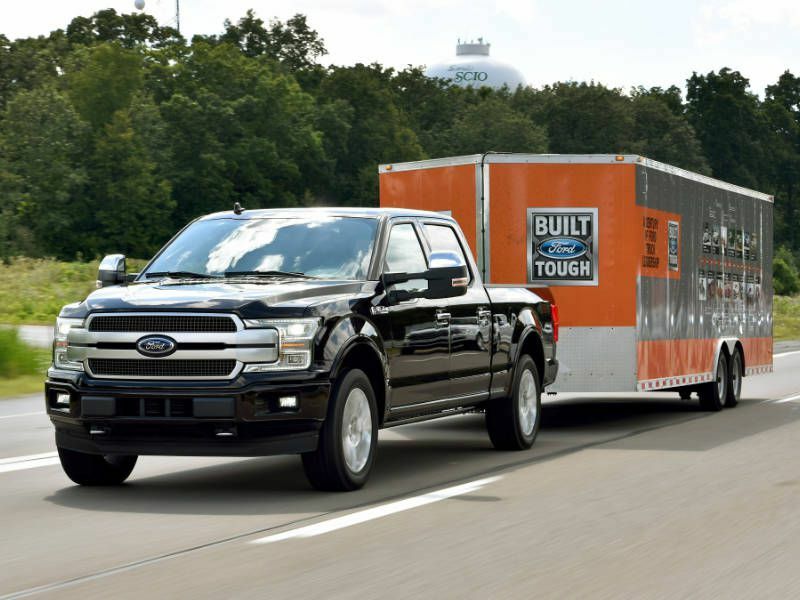 The 2019 F-150’s towing capacity varies widely based on drivetrain configuration. With plenty of torque down low, the EcoBoost V6 gets the nod over the 5.0 V8 for towing, overall. 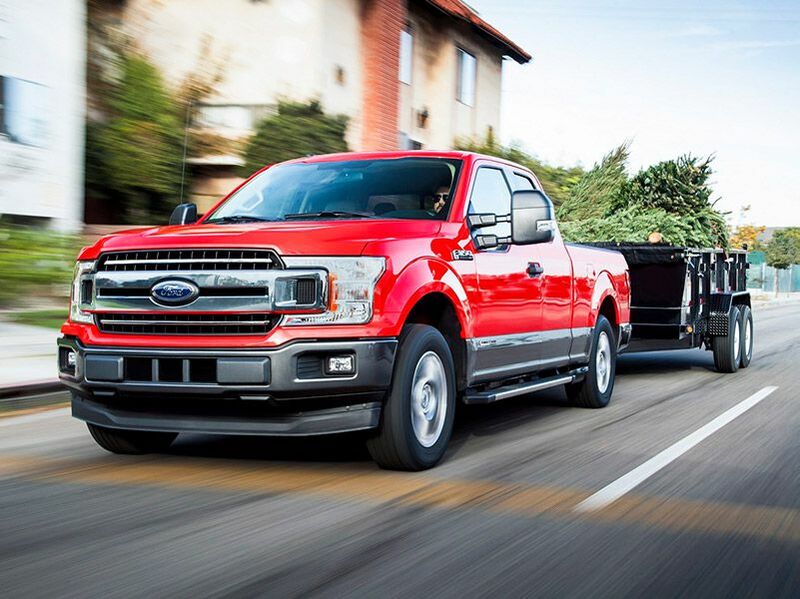 When equipped with a 3.55 rear axle, the 2019 3.5-liter EcoBoost V6 F-150 4X2 long bed has a GVWR of 17,000 pounds and a towing capacity of 12,100 pounds. 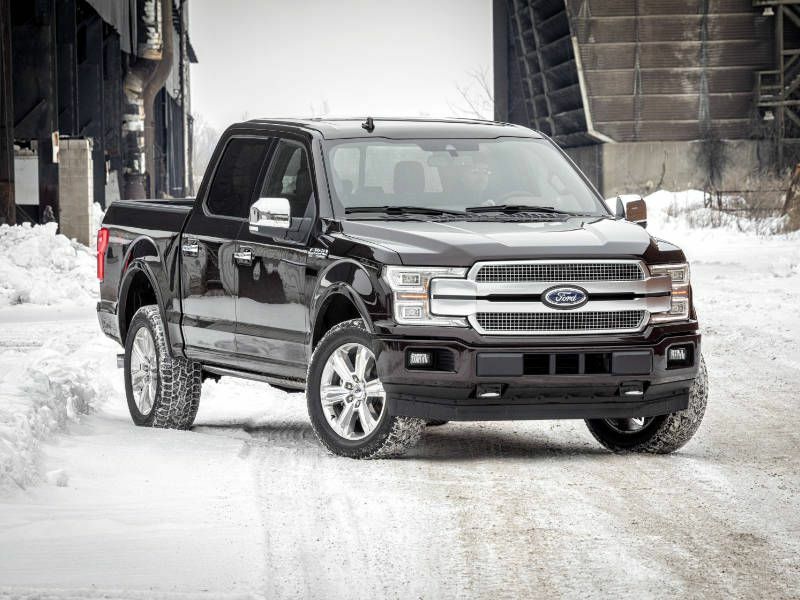 A similarly equipped 5.0L F-150 has a GVWR of 14,900 pounds and a towing capacity of 10,100 pounds. It's no secret that Henry Ford loved alcohol-based fuel, and his legacy lives on in the F-150. 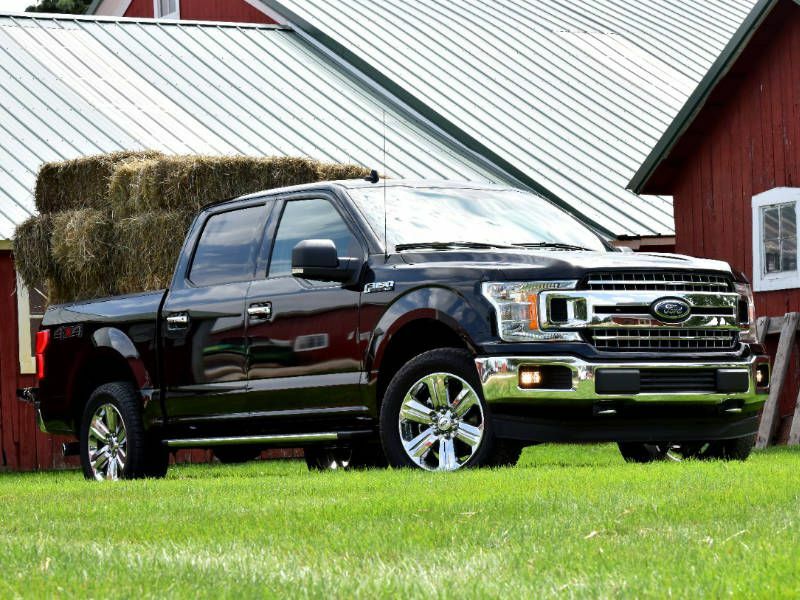 All of the 2019 F-150’s gasoline engines are engineered to use E15 fuel (15 percent ethanol). Also, the 5.0-liter V8 engines are designated as FlexFuel and can use up to E85 (85 percent ethanol). E85 packs oodles of octane but will adversely affect fuel economy. In areas of the country where ethanol is plentiful, E30 (30 percent ethanol fuel) delivers premium+ levels of performance at cost less than regular unleaded. While EcoBoost engines are not FlexFuel, aftermarket tuners have found success using E30. If you live in an area where compressed natural gas (CNG) is inexpensive, you may want to look into the 5.0-liter’s CNG/Propane Gaseous Engine Prep Package, which converts the engine to run on CNG or propane. When it comes to repair and maintenance, simplicity is a good thing. The EcoBoost 3.5-liter V6 engine is unquestionably more complex than the naturally aspirated 5.0-liter V8 engine. Swapping out eight spark plugs instead of six every few years adds little cost. Replacing a pair of turbochargers, on the other hand, will set you back a pile of dough if you’re out of warranty. On the upside, now that Ford has addressed the carbon build-up issue with PFDI, there’s one less (big) thing to cause worry. V8 or EcoBoost — which is best for you? EcoBoost engines deliver higher levels of performance and fuel efficiency. While we can pore over horsepower, torque, and fuel economy numbers, choosing one powerplant over the other is dependent on real-world requirements (your brain), as well as a personal preference (your gut). 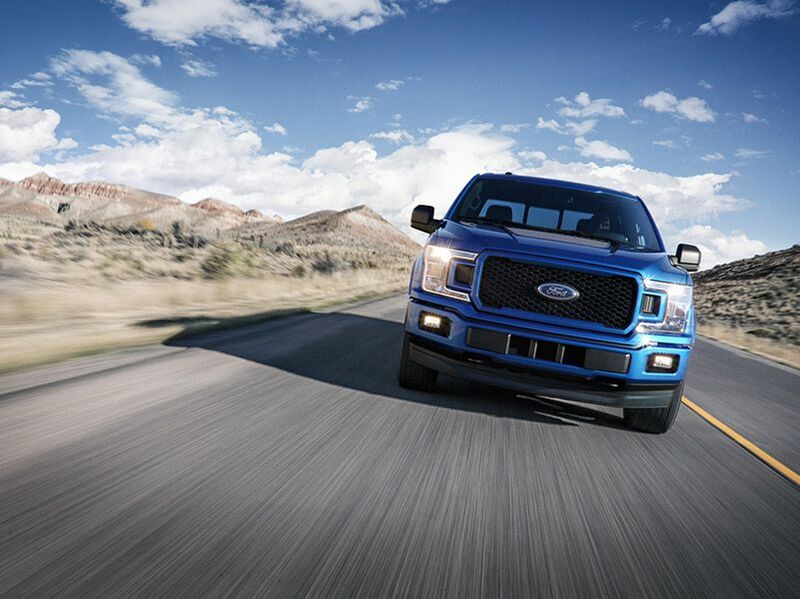 To make the decision, you should test drive the EcoBoost 3.5-liter V6 and 5.0-liter V8 F-150s back-to-back. 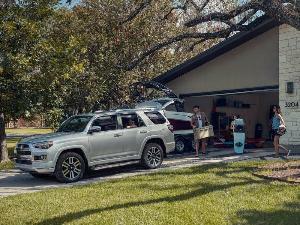 If power is what you’re after, EcoBoost engines are better suited to towing (and more easily tuned), but it’s about the whole package. Take them both out, stomp on the pedal, and tap into all your senses. There’s nothing quite like the roar of a big traditional American V8 engine.